One of the most common practices when a computer experiences software errors is to perform a system recovery. A system recovery is a built-in utility that allows the user to reset their computer back to its factory settings. While this seems like an easy fix to a nasty virus infection, it does not come without some warnings. Most importantly, the data needs to be backed up in order to properly reset the computer or the data will be lost. 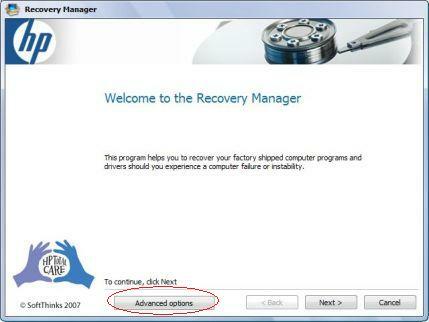 By pressing some variation of F10, F11, or F12, you can get to the HP Recovery program. From there, you can perform the system recovery. Everything seems fine and dandy, unless you are running Windows Vista! On Windows Vista, if you are prompted to use an external HDD for the data backup during the recovery, DO NOT do it. Doing so will make the data unreadable when you attempt to the restore the data. I repeat, DO NOT backup your data to an external HDD. Instead, use a series of discs to back up your data. The problem does not present itself in Windows XP or Windows 8 HP computers. For some reason, there is a well-documented glitch in the Vista OS that does not allow data to be restored from an external HDD. There are programs out there that claim they can repair or fix the corrupted data backups to external HDDs, but most of those are not effective. In fact, I would recommend contacting a computer repair company when you are having software issues with your computer. They can ensure that you will not lose any data during a system recovery and get your computer back up and running like new again. Love: What’s an iPhone got to do with it?